And so is Game of Thrones Trivia with Questionable Company! 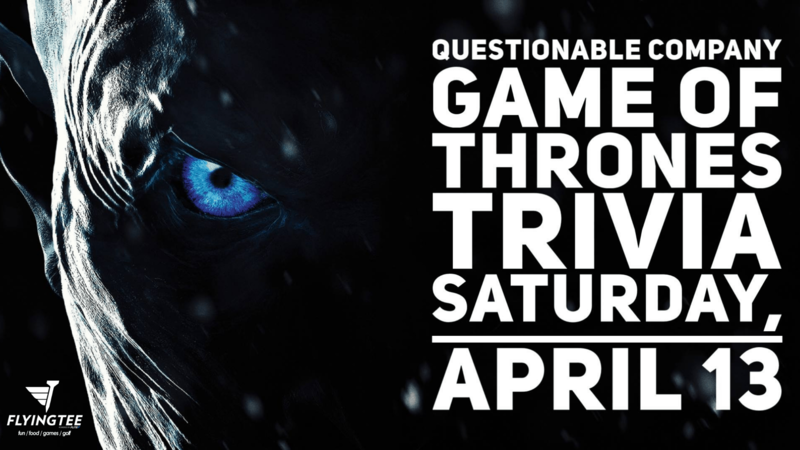 Join us for an afternoon of Game of Thrones Trivia! Tickets are only $5 per person, and you can have as many people on your team as you want, click HERE to purchase tickets! A Costume contest for the best looking Game of Thrones character look alike. With prizes from FlyingTee! A sampling (for 21+ participants) of the new White Walker – Johnny Walker White Walker.